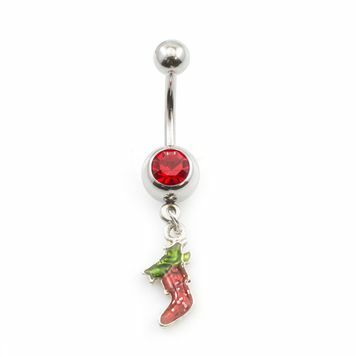 This is a jolly and fun Red Stocking Jeweled Navel Ring. 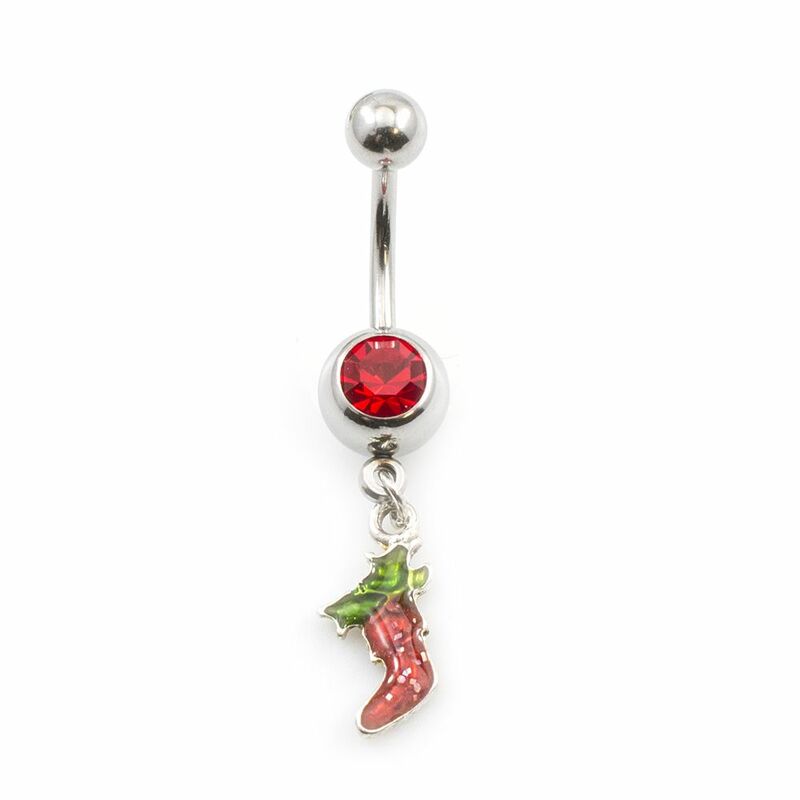 This navel ring has a red jewel as the bottom bead and from it hang a dangling red christmas stocking. 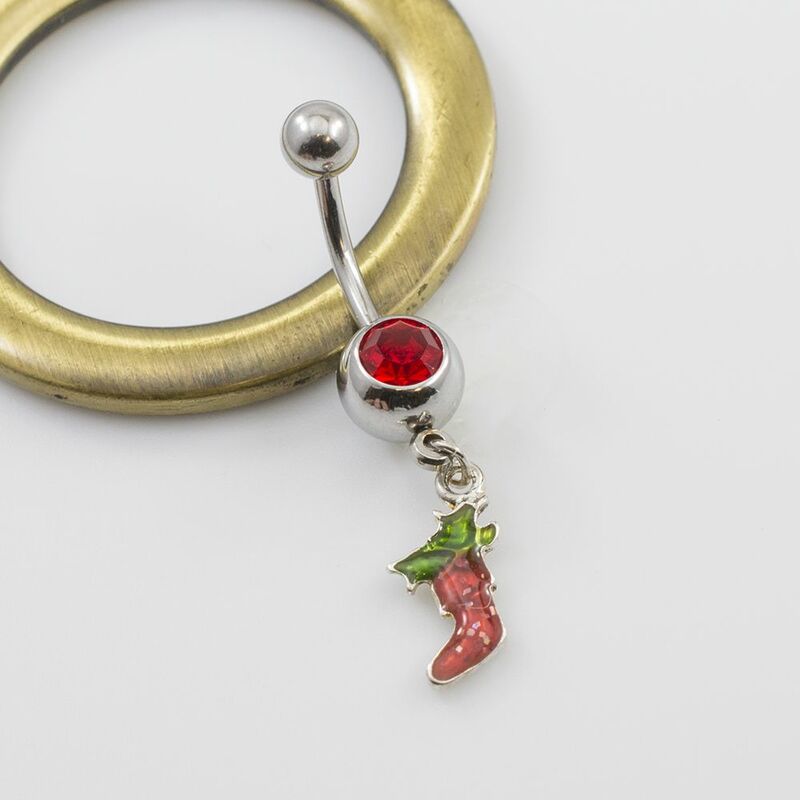 The christmas stocking navel ring is perfect for the holiday time. This item is made up of 316L Surgical Steel. This item comes in size 14 gauge with a length of 10mm - 3/8 of an inch. This navel ring is sold individually. Item is completely nickel free.